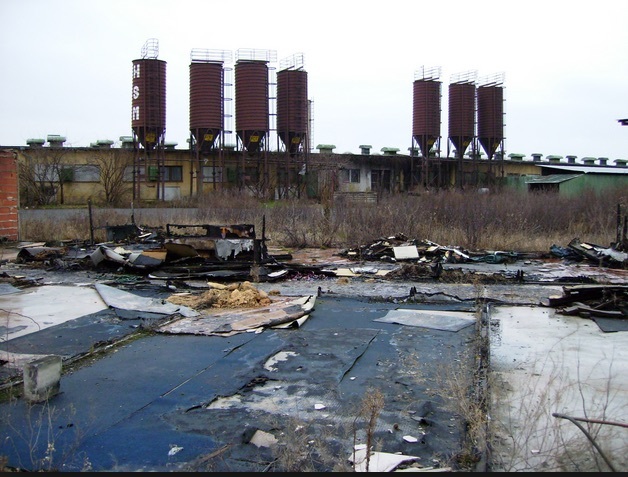 Parcels of land referred to as Brownfields are sites that were formally used for industrial or commercial operations and which contaminated the land as a result of those operations. In a sense Brownfields are a subset of contaminated land. Often, the company or operations have ceased and the site lies empty or unused, often in derelict condition. It is difficult to sell because the contamination can be very costly to remediate and even put people on the site at risk. If the owners of the site have disappeared or went bankrupt, the sites are considered orphan sites. Many brownfield sites are in urban areas and prospective buyers who are reluctant to take on the risks of buying such sites often end up going further out to a greenfields area with uncontaminated properties to set up operations. The result is that there are large areas of inner cities with blighted neighborhoods because of the Brownfield sites, and suburban areas getting more commercial operations. If the owner of the site is solvent, then it can often legally be required to pay for the clean up of the site, under the polluter pays principle. Or in some cases, the local, regional or national government can offer financial inducements, such as tax breaks, to get developers to acquire, and remediate, the Brownfield sites. Otherwise, the applicable government has to provide public funds to investigate and remediate the sites. Often there are no dedicated funds to pay for such costs. Identify several or any Brownfield sites in your community. Identify the corporations responsible for creating these Brownfield sites and what their current status is (active, bankrupt, orphan)? See if you can determine what the costs would be for investigating and remediating the site. What laws are their available to require the “responsible “ party to pay these costs? Are there specific, dedicated public funds to pay for the clean up of the site(s)? If not, where will the money come from?